Oh my … two months since my last update for this section of my website. So much has happened, many changes in both my personal and professional life during this time. Change is good … cleansing … healing … and allows us the freedom to move on to bigger and better things with NO RESTRICTIONS. It never ceases to amaze me when I get sucked into a situation that becomes completely controlling and destroys the person I am and the person I can be. Not exactly gas lighting, but damned close to it … hopefully one day I will learn to trust my initial gut and not be persuaded by things that don’t seem quite kosher. No scars or damage in this recent situation, but again lessons learned … and the value of true friendship once again rises to the top and the backstabbers are uncovered in the process. Oh my … never got back to the One Hundred Voices Volume III update, but it is available to preorder on the centumpublishing.com website. Not sure if my story MAX which was to be in their One Hundred Tails volume or The Suitcase will be in this volume. One Hundred Tails has been folded into either Volume III or Volume IV so it will be even a surprise to me! Today finds another hot day in Central Texas with a week or more of high 90s – over 100 in the forecast. Right now as I type it is cloudy with thunderstorms teasing my little town showing on the radar … we NEED rain … backyard is beginning to crack from the lack of rain and high temperatures. Typical of July in Texas, the heat ridge is setting in for a long visit … so to quote the title of one of my favorite children’s books … COME ON RAIN! Like so many writers, inspiration comes to me from what I observe … my immediate surroundings, my own backyard, my neighborhood (which is almost rural on the edge of town), my little garden, the barn and old garage … today was no exception for inspiration. I will be posting three poems back to back today that ran through my mind so fast while finishing up outside chores I hoped to get back to my desk before they left my feeble brain! Enjoy your Sunday my friends and always take time for yourself. I was becoming lost recently because everyone was coming before me. My writing suffered, my creativity was stifled, and my MUSE seemed to have left for vacation on a cool beach with warm blue waters. The time is now to shake those cobwebs out and put me first for a while and give the world and everyone else in it a backseat while I focus on me. Where has the year gone … nearly half over and no updates here … just popping in to say hello and will give a lengthy update over the weekend … with info regarding One Hundred Voices Volume III … honored to have another short story featured with this Centum Press Series of Short Story Anthologies. Beginning tomorrow it will be available on Amazon.com – no discount when purchased there. I have been honored to have two more of my short stories accepted by Centum Press – MAX will be included in their upcoming collection of animal stories – One Hundred Tails. In upcoming One Hundred Voices Volume III, my short story The Suitcase has been accepted for this anthology. When the publication dates are announced for these two upcoming collections, I will post and update … so watch this space. For those of you who write short stories, they are still accepting submissions for both of these collections. Visit their website centumpublishing.com and look for submission requirements and deadline under the submission section. Other news — I am now the Senior Managing Director, Editor, Board Member and Permanent Poet Laureate for Downtown LA Life Online Magazine. We are making some fun changes and additions to the magazine beginning February 1, 2017. I will update those changes later this month. Anyone interested in having their writing, art, photography, etc featured in this magazine, contact me txstarkeeper@gmail.com or DM me @txstarkeeper on Twitter. We are always looking for new and interesting artists to feature. 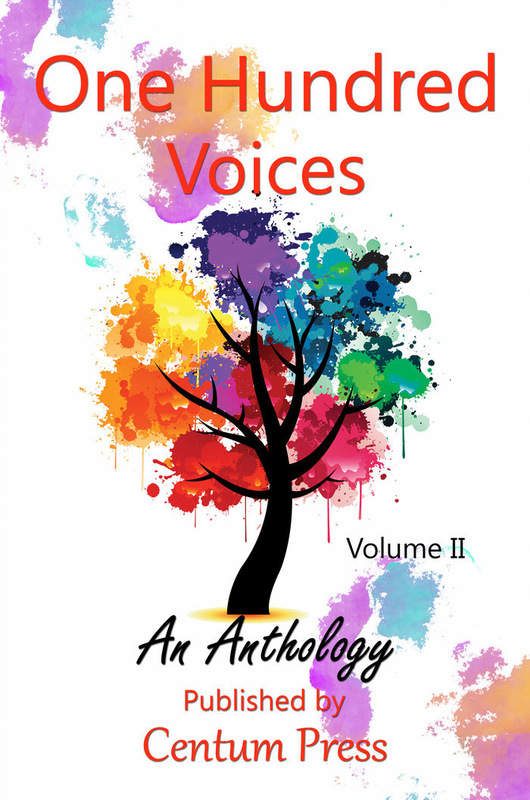 I am so honored to have my short story Sleeping Porch – published under my name – Sharyl Fuller in the collection One Hundred Voice Volume II published by Centum Press. Here is information to preorder the hard cover book with a 10% discount code. A paper back version will be available later in December … publication date is January 15, 2017. One Hundred Voices Volume Two is now available for pre-order! 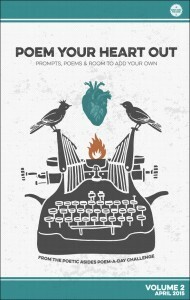 Following up on the success of One Hundred Voices Volume One, we have a brand new collection of short stories and pieces of flash fiction from one hundred unique authors. While a good amount of the authors who will be published in Volume Two were also published Volume One, we also have many new authors from around the world. Be sure to check out this exciting new collection and ask your favorite writer if his or her piece is featured in the book! Remember to ask for a discount code to save ten percent! I am not going to make promises again to write and post daily … it just doesn’t seem to be in the cards for me right now. I do write, and I read a lot … but not daily. No excuses! This summer brought me the joy of participating in our local farmer’s market. I am a Young Living Independent Member and shared my love of oils and all YL products each Saturday morning until a week ago. I also made a variety of different baked goods for each weekend which kept me busy writing and tinkering with recipes for that baking. Along the way, my position with Downtown LA Life Magazine has changed twice with more responsibilities which though I dearly love take me away from my writing and focus on the writing of others. Several new writers and artists that have joined the DTLAL magazine community which allows me the joy of reading and viewing so many wonderful creative people. I feel a bit caught up right now with the magazine having writers lined up for most segments until December with a couple of possibilities even for then. I am honoring a promise to a friend to read and edit several short stories for a collection he is working on getting ready to publish. I love to read the work of others, but reading for joy and pleasure is so much different from reading with an editor’s eye and virtual ‘blue pen’. All that being said, I will try to post more of my work as the days and weeks go by. Trying at least a post a week which has not even been the case lately! My intentions are always so good … then … something ‘shiny’ catches my eye and my attention span is totally wrecked and I must either follow that rabbit or refocus. I have several books of my own to complete for publishing … at least they are written and only need fine tuning. However, come the first of the year, I have two new books to write and get published … so much fun and so little time. Nearly mid-October and Christmas it two and a half months away … where does the time go. Where does time go? Again, I apologize for not posting daily and was my goal when this website was started several years ago. I was a much more dedicated writer at the time have just retired from 37 years an a teacher and elementary administrator. This thing called life has a way of creating new paths on the journey we are on and I decided a long time ago to go with the flow and not beat myself up if I didn’t fulfill all my goals. Not making excuses for not writing and posting daily only explaining how life and the universe at times has a different idea of what needs to be done at the time. Beginning tonight, my plan is to get back on track with the daily poetry writing and posting … that is until the next fork in the road or bend in my life pops up and changes things … but, I do plan to be better! Along the way, my journey with Downtown LA Life International Online Magazine has continued to be a blessing. Don and Christian are like the older brothers I never had and they are the only family I now have in my life. Getting older means that family begin to go to their next level of life and those of us left create family from those we meet along the way. I was honored last Thursday night with a new position with DTLAL. Beginning September 1, 1016, I will become their Associate Editor. Not sure what all that means yet, but I will learn along the way. This year as Contributing Editor I have brought several new artists to the magazine. Also, I have been able to feature up and coming poets in my Poetry Connection each month. I have four more months and on the search for poets for Poetry Connection through the end of 2016. My other website, Writing Outside the Lines is about to turn a year old. It has been an amazing experience for me and for the weekly writing challenge participants I lovingly call my Writing Rebels. Each of the four regulars have been featured in Poetry Connection this year along with an old writing friend and new Rebel. 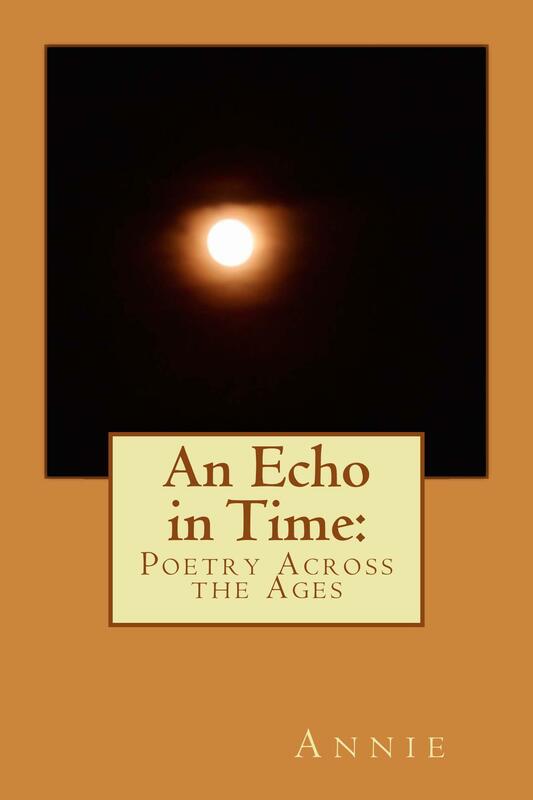 Heidi Barnes, Robert Mihaly, Shelly Isakson along with Joe Hesch have each had their time in Poetry Connection. Heidi and Joe are published writers and have been supportive of me over the years as I have gone from fledging to beginner in my writing journey. Suzanne Carey has proven herself worthy of her own short story section each month and Shelly has a stunning photography section with words of Pagan wisdom each month. Please take time to visit Writing Outside the Lines at this link: https://annieswritingchallenge.wordpress.com/ to read their posts for each weekly prompt. You will find their website links in the comments section for each weekly prompt. I am a like a proud mother watching them as they grew into writers during the past year who have far surpassed their teacher. This has been a crazy Spring … cold when it should be warm, chilly and gray, rain and floods, hot and humid … but that is Texas weather for you! Recently, I have had some questions for advice to beginning writers. I am no expert, but these are my suggestions. First: Read, read, read … everything you can get your hands on. All genres, but especially the one you want to write. Study writers you like … not to copy them and their style, but to learn from them to develop you own. Second: Get a good book on writing that works for you. My absolute favorite that I use over and over again is A Writer’s Book of Days by Judy Reeves. There are two different editions, my favorite being the original. My book is dog-eared, coffee stained, and generally beat up, but still my go to for learning and practicing. It is set up as a day by day journal style with lessons and daily writing practice prompts for you to dive into. One reason I love it so much is that you can jump in wherever you want and do lessons you need most. I also host a weekly writing challenge – http://www.writingoutsidethelines.wordpress.com My new prompt goes up each Sunday and I would love for everyone to join my little band of Writing Rebels! Each year I participate in the Writer’s Digest April Poem A Day challenge … it begins April 1st and ends the 30th with a new prompt given daily. Your choice to share your writing or write for you own practice. Go to http://www.writersdigest.com for particulars … you can jump in any time! Use daily prompts from where ever you find them. Currently I am loving https://dailypost.wordpress.com/prompts/ for my Poem A Day. You can share back to the website, I choose only to post here for Whispers of Poetry. Fourth: Write, write, write. Get words on paper, type words on your computer … write … don’t think about sentence structure, grammar, spelling just let the words flow … editing takes care of the things that too many people stress over in the beginning … WRITE! Fifth: Find a writing buddy or a writing mentor … someone you feel comfortable asking questions, sharing your writing with , taking their advice (or not), someone to help you edit and proof, a trusted friend that encourages you but is open and honest about what you need and don’t need in your writing. Sixth: Have fun … don’t take life or writing too serious … let your creativity flow as you write about anything and everything you see, hear, experience, remember, makeup … just WRITE! Seventh: Set up a personal writing website. This gives you a place to store your writing until you want to post … always date drafts … this will help you in the long run … believe me … enough said. My favorite place to set up a new website is wordpress.com – easy to use, navigate, and free. Believe me, I have used several over the years and this is by far the best and my favorite. Eighth: Keep a daily writing journal … and write daily… this is why I love Judy Reeve’s book! You never know what might spark a new story, poem, or even a commentary. Writing by hand keeps that brain muscle connection on paper that is not as satisfying when sitting before a blank computer screen with the blinking curser staring back at you! These are listed in no particular order … I hate anything to do with formulaic writing … even to advice for beginners. Writing is a personal thing between writer and their own words and there is no one ‘formula’ for everyone. Blaze your own trail and find you personal path. I am sure someone with more experience would give you other pieces of advice. Take what you want here and run with it … let the rest sit here until you want to use them … or not! How time flies when you get bogged down in life. I have not gotten back to posting a poem every day like I did when this site was first created. Hopefully, with a new month, I will be able to get back into my daily poetry groove. I will be writing again this year for Writer’s Digest April Poem a Day Challenge – PAD. Look at the menu bar to see that tab has been added. Last year, I posted each PAD prompt response under my Blog tab, this year since I want to write a poem a day for my site as well as participate in the 2016 APRIL PAD, I wanted to keep these entries separate. So … tomorrow the 30 day challenge begins… wish me luck! Happy Valentines Day everyone. A quick update for a new website I am in the process of creating for promoting not only my books, but the books of several writer friends. Here is the link for the site. https://writingfriendsblog.wordpress.com Each writer has their own section listing the books they have written with a link (if available) to preview and purchase added each book on their personal section. This site is a work in progress and more writers may be added as I go along. Updates for new books will be made as soon as they are available for purchase. My little way of saying thanks to all the people who have supported me along the way of my writing and publishing journey. I really wanted to get back to writing a poem every day for 2016 but it seems life keeps getting in the way of my writing. When did I become so disorganized that I cannot get my morning reading and writing for even one day completed? It used to be so easy and now … I am days behind in everything. No use beating myself up for something I cannot seem to control … time to go with the flow and if I write daily … I write daily. I have decided to do a personal reading challenge for 2016. Reading is a life-long passion and I have neglected it completely in the past couple of years. I am so behind in several book series that I am not sure what the last one was that I read and how many I am behind. Again … when did I become so disorganized? It seems with each year of retirement, I become more and more distracted and disorganized. When I was working I wrote daily, read constantly to sometimes more than one book a week and now … it has been weeks since I read a book and it was a tiny barely over 100 pages novella. Time for me to get myself in order and I am not sure how to make that happen! Maybe the personal reading challenge will help. Today I received a copy of the book a dear friend and my editor wrote a few years ago. It was a little surprise he tucked in with a gift of his amazing liquid amber … honey from his own hives that I will use sparingly to make it last. I need to see where this book fits into the challenge criteria and begin with it. I read the ending … something I never do … and was in tears. I have a feeling the entire book will be that way since it is about his life, struggles, family, life partner who died in a medical fluke (mistake) and I want the rest of the story that has not been written. Perhaps I can talk him into do that … writing the rest of his story from the end of 1999 until now … I feel it needs to be told. My initial thoughts on the writing challenge was that I should read the type of book in order of the list … when did I become a bit OCD … I have never stayed within the lines and why should I stick to some random listing of book types for my own personal reading challenge? So … I need to print off that list and date when each book type is read. Ahhhh … a bit of a plan is beginning to form … maybe I will find my way back eventually. I do have deadlines coming up in January for a few contests so those must take priority. I have begun a new book … not sure what to call it other than a writing collection since it contains fiction, flash fiction, non-fiction, and poetry all written when I was participating in Kellie Elmore’s weekly writing challenge – Free Write Friday. I have the pieces organized and will look through them again for flow and placement. My intention is to have them appear in the book as they were written by date, but some of the early work I don’t have dated … so my disorganization did not begin with retirement! As I am writing this it is after midnight and I need to be sleeping … but I fell asleep about 8:15pm and woke up about 11:45pm feeling like he alarm should be going off. I do have that bit organized so I am up and taking care of the barn cats when they expect to be fed and I should then be able to do my morning reading and writing. I get the cats fed, coffee made and squirrel time begins when I get distracted from what I should be doing chasing squirrels down some new idea, craft, topic, etc … so maybe I am not disorganized but have deep adulthood latent ADD. Oh, and I washed dishes I neglected not just yesterday but the day before and have chicken thighs simmering for the vampire cats breakfast in the morning … so I will be up for a bit longer. Maybe my poetry muse will find me before the frozen thighs finish cooking and I can get a nap before the alarm goes off! Bottom line … I will write … but it seems that daily is not something within my reach now. Life is sure strange and interesting every minute of every day … which I have a difficult time keeping track of the date as well. Time and days are fluid and when I don’t have to be at a certain place, at a certain time, on a certain day … well that’s what clocks and calendars are for. Wow … this is the first time I have written out the new year … 2016. I wonder how many times I will get it wrong in the next few weeks? Automatically writing 2015 instead … on the top of my daily journal, the date line on the few checks I write monthly, on anything else that requires me to tax my failing brain to remember the year is no longer 2015. 2015 was a year of ups and downs … more downs than ups unfortunately. I was excited to finally get a couple of books that were swimming in my mind onto paper and self-published. Excited as well to enter several writing contests … the waiting may kill me … the waiting for that first rejection letter. Old demons and personal enemies haunted me off and on and several friends have had struggles of their own which influence my overall state of being. 2016 has to be better for us all. Looking forward to 2016 this website is still going strong and I hope to get back to my vow of writing a poem a day … already late for the 1st and pondering what to write for today. My writing challenge site has been a success with a small group of loyal writers who are growing every day. Two of my participants have been published along with me in Downtown LA Life International Online magazine and I see that in their future as well. I am working on another book, a combination of poetry, short stories – fiction and nonfiction, as well as flash fiction. Hopefully it will be self-published before the end of January. Also in the works for 2016 is a cook book of the monthly column recipes posted in Kitchen Poetry for Downtown LA Life International Online Magazine. It will be the end of the year before it will be completed and depending on the size may need to be completed in 2017. No resolutions … or revolutions as one friend decided to call them… for me this year. I do have one vow and promise to myself and that is to take care of me first and do what is best for me. No longer will I put the needs of others ahead of mine because I get lost in the fray when I do and have to fight to find myself again. This has been a busy week. Not only was my first chapbook published on Amazon.com, but I compiled the stories featured for the past year on DTLAL into a book of short stories. It is available on Amazon in both Kindle and paperback format. Where has the time gone? In an eye blink we will be moving into 2016. Since my last update I have created another website to cater to my food buddies. I love to cook and this lead to the new website. I have my monthly food column Kitchen Poetry featured on Downtown LA Life International Online Magazine, but I needed a place to post recipes as I create them since I cook by the seat of my pants and never write anything down. This is my way of trying to get a bit more organized… if possible. A print version will be available soon with a bit of Lagniappe for those who buy the paperback. That is all I will say for now … have to keep some surprises for you guys. Either version will be a good gift choice for the coming holiday season or for just because. My most exciting news for this update…. drumroll please… My dear friend and reluctant writer, most faithful Writing Rebel every week for my writing challenge is now featured each month in Downtown LA Life Magazine. Look for Suzanne Carey’s American Stories and have plenty of tissues handy. This lady knows how to touch you to the very soul. Bringing new artists to DTLAL is the most exciting part of my job with this amazing online community. I have created a weekly writing challenge for anyone who wants to try their hand at the prompts I post. This is a challenge posted each Sunday evening and you have until the next Sunday to write … or not … you decide if you want to participate. I have had problems getting the site set up the way I want it and it continues to bedevil me every time I go there. If you follow it this site, when a new prompt is posted you will receive an email letting you know. Also, a post will show up on Twitter, FaceBook and Tumblr if you have accounts. The previous two prompts may be found under the Challenge Tab and I am not going to try to change anything at this point. Each new prompt should – if I do things correctly – show up under the home tab by date. I hope you will give this weekly challenge a try … a great way to stretch your writing and share with other writers … no critiques … just sharing! I have been a bit MIA over the summer … life has been interesting, trying, and at times just completely impossible. With August, I hopefully will return to my daily poetry posting and return to a normal writing/posting schedule. During personal reflection, soul searching time is needed to recharge and I am trying to return to normalcy … or whatever normal for now will be. As of this evening, I have been given the distinction of being the 2015-2016 Downtown LA Life International Online Magazines Poet Laureate – Belles Lettres. This honor was a complete and total surprise and I am still in a stage of shock to have received such an honor after only a year writing for this magazine. Please take time to read this month’s nonfiction short story and poem … www.downtownlalife.com … Annie’s America’s Short Stories Monthly … ALIKE … BUT DIFFERENT. August is the third month for my food column Kitchen Poetry. This month I am featuring a product that is dear to my heart, Einkorn Pasta made by Young Living Essential Oil Company. I create new recipe each month to introduce you to some of my favorite foods and at times an updated version of a wonderful recipe from my childhood. At the end of each recipe there is a short posting about my Mom and her influence on my life, most especially my love of food and cooking. If you try my recipes, please give me feed back and let me know any tweaks you made … Kitchen Poetry style! There are some additional challenges that I will participate in throughout the rest of 2015. If those writings lend themselves to this site, then they will be posted. With Day 30 of the Challenge, I posted the 656th poem since I began this site in June of 2013. This amazes me that I have written that many different poems and still have poems to write! The guys at DTLAL have not kicked me to the curb just yet. My new submissions for May will be posted on the 5th. Until then, you will still be able to read the selections for April. I am so excited to announce my friend and extremely talented artist Joss Rossiter is now being featured in the magazine as well. I became acquainted with Joss and her art through her FaceBook posts and fell in love with her South African eclectic style. Since then I have two of her wonderful pieces of art and hope to have more in the future. My newest piece needs to get to the framer so I can find a place of honor for hanging. Please take time to visit www.downtownlalife.com come and view her amazing art for yourself … and follow her on Facebook if you have an account. Beginning June 1, 2015, I will have a food column as well. Still pounding out the particulars, but will keep you posted about that new venture for me with this wonderful magazine. Happy April Fool’s Day Eve. Tomorrow begins the Writer’s Digest PAD – April Poem A Day Challenge. I attempted this challenge last year, however, a week into the challenge Writer’s Digest website decided I no longer existed regardless of the number of times we tried to get my login and password for the challenge to be recognized. Not being able to post my poem each defeated the purpose of the challenge, therefore, I bowed out. Interestingly enough, today when I tried to create a new account in hopes it would not have the same issues as the one from last year, the old account allowed me to log in … so who knows what will happen tomorrow when I attempt top post my first poem after the prompt is posted. My plan, if all goes well, is to post the PAD for the day here for each day in April. 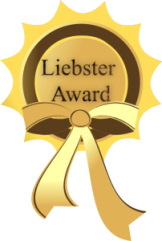 I have been nominated for the following award … Thanks Lauren at https://laurenjeffreywriter.wordpress.com! For more information please check out the Awards tab. The most wonderful thing about being retired is that I don’t have a set schedule, I don’t have to get things done in a particular time frame, and I can do pretty much what I want when I want. After 37 years of being tied to a set daily schedule it is amazing how the mind begins to create a new one without the body realizing what is going on. In retirement, I had fallen into a new schedule without really thinking about it. Oh not one that was hard and fast and set to a stick timetable every day, but a schedule none the less. One of those things that became a part of this new ‘retired’ schedule was to post to this blog every day. I did quite well for over a year, but into 2015 life took me down several unexpected paths that had their own set of twists, turns, and for lack of a better word — schedule. There were days my Muse wasn’t around and I didn’t have a daily poem to post. Other days when time just seemed to disappear and I had not posted poetry that was written that day or days before. It began to stress me out that I was not posting every day. I felt like I was letting down the many followers of this site and that stressed me even more. In times of stress I pull away from everything, everyone, and take a breather of sorts. That’s what I have done since the end of February and to this point in March have only posted one poem. Part of my crazy self-imposed ‘retirement’ schedule was to get up at a specific time and go to bed at a specific time. That doesn’t work for me now anymore than it did when I was working every day. So … here I sit at 3:30 ish AM pondering what has been going on for the past month or so and deciding that I need to do what is best for me and to hell with a schedule of any sort. I may post daily or I may post weekly, but I will no longer push myself to post new poetry just for the sake of saying I post a new poem every day. That worked in the beginning when I started this site, but life evolves, life changes and as a result so has my writing. I am fortunate to have many writing mentors and have been fortunate to mentor many beginning writers … writers are like a family and that is what keeps me going. We are there for one another in the good times and the bad. Let me say, lately there have been more bad than good and I am working through the bad to reclaim the good. In the process, my writing has taken a back seat to the searching I am doing to get back to me. A very dear friend and writing mentor told me years ago that to be able to write I had to take time to read…so that is what I have been doing. Not my usual ludic escapism, but soul-searching. Reading snippets and passages of information about life and how to get myself back on track…or create a new path…or just be satisfied with what is going on in my life as part of my current path. Regardless, I am not the person I was on the last day of February, 2015, and I am not the same person I was yesterday morning when I got up in the dark to feed my barn cats…but I am ME whatever that means and I will be the best ME I can from now own. I don’t own anyone anything and I don’t expect anything from anyone. I have to be true to myself, continue to learn daily, and respect what happens along the way as part of my current process in life. There were people a month ago who tried to make me feel like I was a bad person for my views, opinions and philosophies. In the end, I told them I didn’t appreciate being told I must think a certain way to fit in and that at the end of the day I respected who I was and what I stood for. Yes…I lost some support that I thought was important, but came to quickly realize that was false support and not what fit me best. I found more and better support as a result. True, genuine, loving caring people who put people first in their lives and not the all mighty dollar. The support I lost is jaded … I don’t live like that and refuse to be molded into a form that doesn’t fit ME — my soul, my life, my personality. Stubborn some people call me, but I am what my Mother raised. I strong independent woman who thinks for myself and doesn’t allow someone else to tell me what to do and how to think … just not my style. Now that I have all that crap out in black and white and my rant and ramblings over, I am ready to get on with the business of writing … writing for myself and sharing with those of you who follow so loyally. I have a couple of poems to post now and my new selections for April’s edition of DownTown LA Life to decide upon…but, I am not locked into some self-created schedule to get this done any longer. My posting will be as I feel my life is becoming … eclectic and individual. Thursday afternoon I received some additional good news from DownTown LA Life. Beginning March 1, 2015, I will be a Contributing Editor for this international online magazine. This is an honor to join the magazine in a Contributing Editor capacity. Never in my wildest dreams when I was first asked to contribute my writing did I think I would be involved on this level. My current contribution will be available until the end of the month and a new short story and a couple of poems will be added to my section for March. For those of you who have been following this journey with me … Thank You. I am excited and waiting to see what is around the corner. Today I officially have a Byline with DownTown LA Life online international magazine. 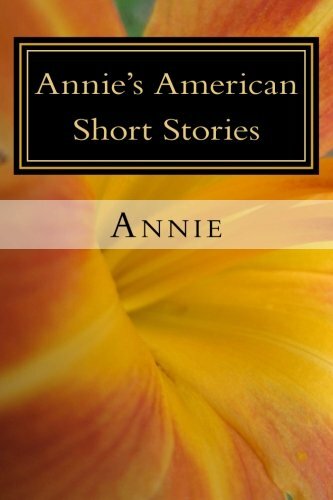 I will have my writing featured each month as Annie: From the Heartland – America’s Story Teller. This month’s feature is up and running at www.downtownlalife.com This month’s story is a mystery related to Mardi Gras! Enjoy! I am featured for the third month in a row with DownTown LA Life online international magazine. My new publications are listed under Annie’s Extraordinary Stories www.downtownlalife.com. Take a few minutes to drop by and read as well as scroll through the other wonderful sections for January! Day for 1/1/15. It will be posted this morning with today’s poem posted at some point this afternoon or evening. I am excited about 2015! So many opportunities in the future and so many directions for me to follow. I will continue to post a new original poem here every day, and post to the additional sections I have created on WordPress in a random manner. My relationship with the international magazine site DownTown LA Life will continue. This has been such a wonderful opportunity for my work to be seen on a really broad platform and I have learned much from the work done with these wonderful people so far. I have a personal business venture I hope to grow in 2015. One that began slow and now is time to kick it up a notch as I have gotten my feet wet and decided what I need to do for myself along these lines. In my part of Texas, we have blackened peas, greens, ham and cornbread to usher in the new year … these are for luck and prosperity so tradition dictates. That is my wish for each of you in the coming year. My friend Cletis Stump is being featured again…this time with his digital art … look for his amazing work. His link is right under The Darkness of Child Abuse on the left sidebar where my story is featured. I had the wonderful opportunity of being asked to submit a short story for an online magazine. This is a unique site that is international in its publication as well as content. Down Town LA Life Magazine International is an eclectic mix of writing, poetry, short stories, pictures, commentary, and art that can capture your attention for hours of browsing and reading pleasure. Their web address is www.downtownlalife.com. My personal direct link is www.downtownlalife.tripod.com/id778.html. Look for the box labeled Women’s Voices: Annie for my first submission ‘Looking Back’. I will be submitting again in mid November and will give an update at that time. While you are there, please stop by and read the poetry of my friend Cletis Stump. His selections can be viewed by clicking on his name in the left side bar just above the link to my publication. His digital art will be featured in November … I am quite a fan and have eleven pieces in various sizes with a lengthy wish list. Please take time to explore this journey with me! Each day, I spend some quite time reading and reflecting on what I have read. I find new poems, poets, and writers along the way. Often I find a word or a phrase that inspires me for the daily poem I write. Today (4/13/14), this quote came to me and begged to be placed here on my home page. Rumi is one of my favorites and I collect his writing. This quote was posted on a site named The Garden of Pensiveness that I read daily. Thank you so much for this wonderful honor. What a wonderful surprise today when I checked my comments for this blog! On this second day of the new year 2014, I want to take a minute to express all my appreciation to the people who follow me on Whispers as well as my loyal followers on Twitter, Facebook and Tumblr. This site has been an amazing ride since it came on line in the middle of June, 2013. For the past six months, my writing Muse lead me to more and more poetry which in turn lead to the decision of beginning a poetry only site where a new original poem is posted every day. I have met some amazing people along this part of my writing journey and some inspiring poets who are posted as my Guest Poets or reblogged from their sites. For 2014, I will continue posting a new original poem every day and I am sure will be adding to my list of Guest Poets. The look of Whispers most likely will change slightly. I am still learning my way around WordPress and my blogging/posting options. May 2014 bring you everything your heart desires, your soul requires and many adventures for your own creative spirits. These four quotes spoke to me yesterday and today as I did my morning reading and Writing Practice. They seem to follow a theme of patience, responding to what calls you and living in the moment, all things I need to add to my life on a more regular basis. Hopefully, as the year continues and my patience and response to the Muse deepens, my poetry will evolve and be more representative of my thoughts, feelings, and world view. However, as I remind people who know me, please remember sometimes poetry is just words on a page and not a reflection of me personally…but, a reflection of life observations and empathy for what I see and feel from others. This website is a place where I will share my original poetry on a daily basis. It is a work in progress as I learn the in’s and out’s of WordPress things will change (hopefully for the better). Check back daily for a new poem. Thank you Ellen for the Nomination!